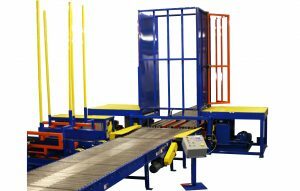 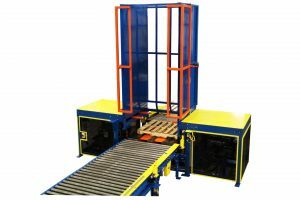 The Destacker Pallet Dispenser is a high speed, hydraulic pallet dispenser designed to dispense pallets onto an automated line. 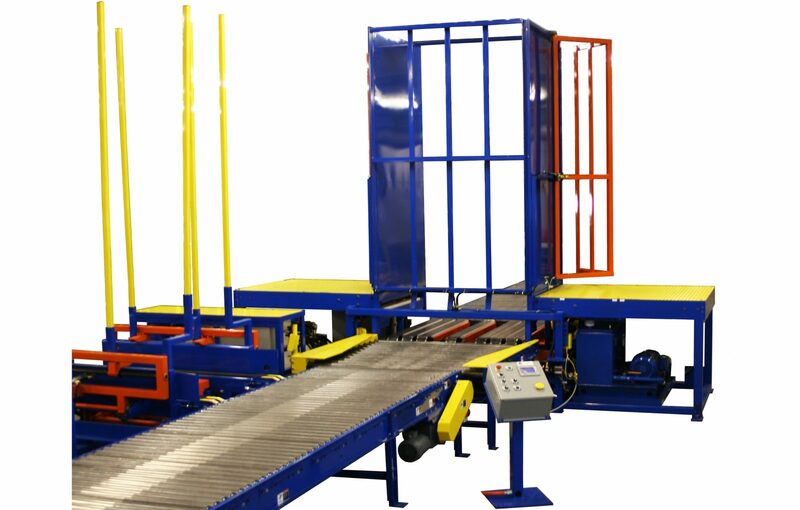 It is equipped with a PLC (Programmable Logic Controller) that is connected to several infrared photo electric eyes. 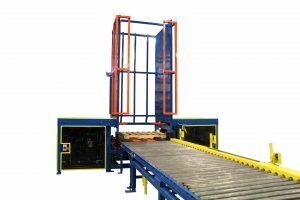 When the chamber is empty the PLC opens the safety doors and moves single stacks of pallets, via automated conveyor, into the chamber and then dispenses them at specific time intervals onto the out-feed conveyor. The Destacker will accept pallet stacks up to twenty high in various sizes and conditions. The Destacker is the cornerstone of our Automated Sort & Repair Systems.